Hump day dinners are best spent at The Exchange! 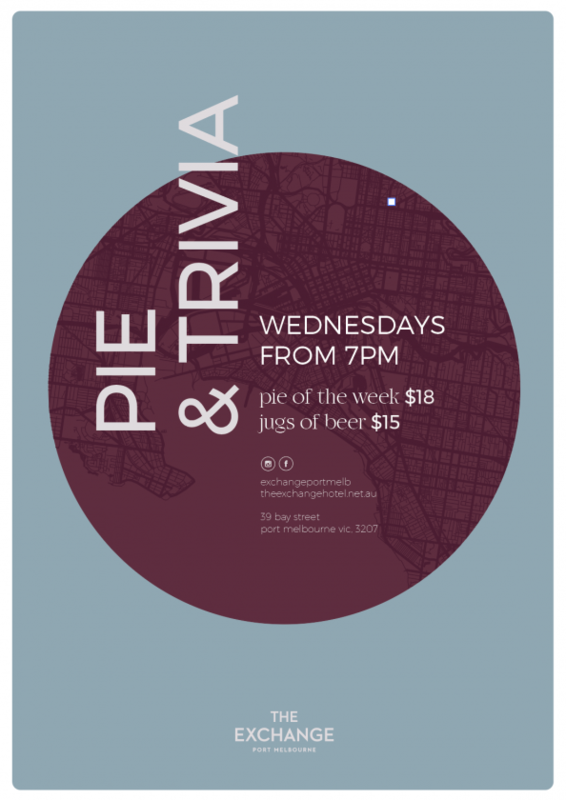 Join us every Wednesday and enjoy one of our gourmet pies for just $18 each. Available all day, selections change weekly.